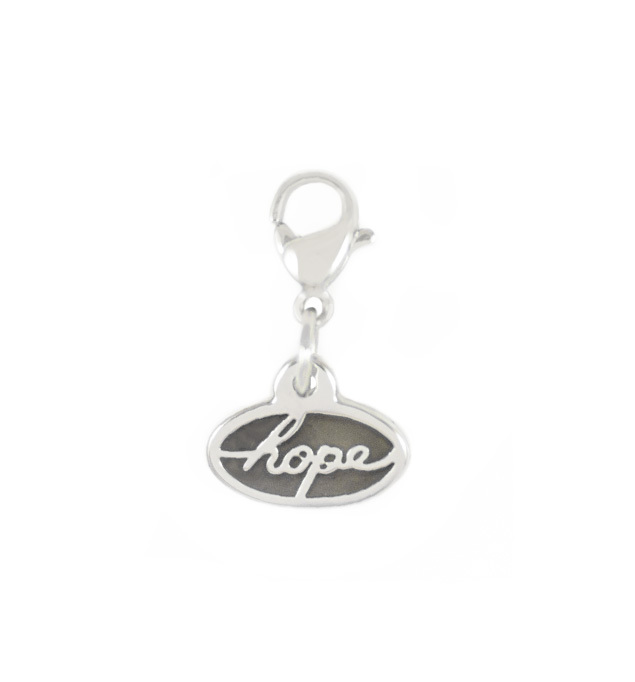 The Hope Charm is a Lauren’s Hope classic. This two-sided charm features the word, “Hope” in block print on one side, elegant script on the other. Easy to move from one bracelet to the next, you can carry your little message of hope daily on any bracelet you wear!